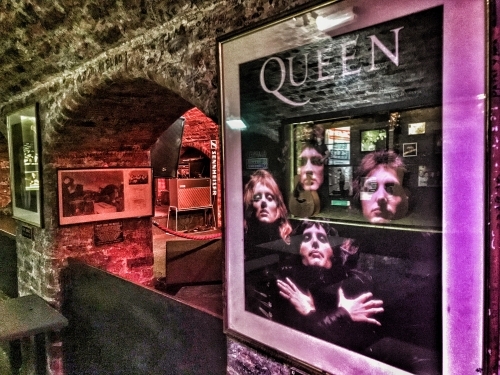 The Cavern has seen plenty of rock royalty in its 61-year history. Leaving aside the most famous band in the world, some starry names have made their way to Mathew Street over the decades – all immortalised on our Wall of Fame. But there’s only been one Queen. And we don’t mean Her Majesty (who we hear is a pretty nice girl). This week, a new blockbuster film – Bohemian Rhapsody – opens at the cinema, telling the story of the birth and rise to global stardom of the colourful rock band. And next week marks 48 years since it all began, when the band played its first big professional gig as Queen…right here on stage at the Cavern Club. Freddie Mercury had joined former flatmate Roger Taylor and lead guitarist Brian May in the band’s previous incarnation, Smile, a few months earlier during an impromptu appearance at Liverpool venue The Sink. Although they had first met in London, Mercury, still going under his real surname Bulsara, had been living in Penny Lane (in the building now occupied by the Dovedale Towers) and singing in a Liverpool band called Ibex. And on September 9, 1969, Brian May and Roger Taylor joined Ibex for an encore on stage at The Sink. The line-up for the Cavern gig of Halloween 1970 was Freddie Mercury, Brian May, Roger Taylor and Barry Mitchell on bass guitar. 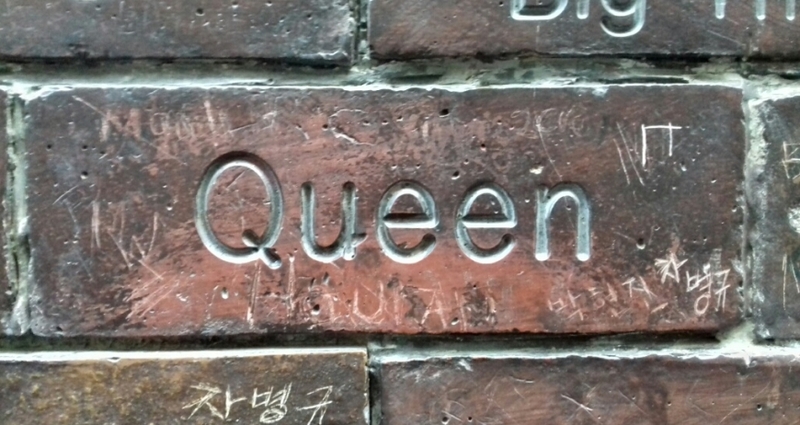 The 40th anniversary of the show was celebrated by fan club members in 2010 who had a Queen weekender at the Cavern. Meanwhile it would be four years before Queen returned to the city – this time playing the much bigger Liverpool Stadium, and in their classic line up of Mercury, May, Taylor and John Deacon. Finally, it was Freddie Mercury who designed the famous Queen logo, which while incorporating the star signs of the four band members also bears a real similarity to the Royal coat of arms. But could there be another, albeit subconscious, inspiration? 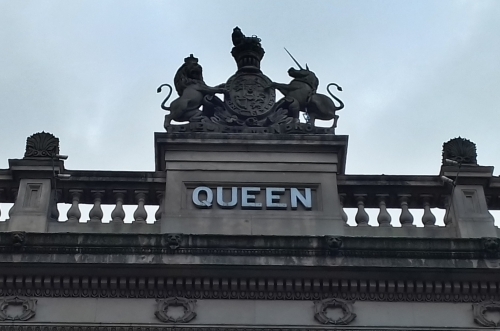 Next time you’re in Liverpool’s Dale Street, minutes from the Cavern, look skywards from the stone edifice and you will spy the prominent crest on top of the Queen Insurance Building. Just as Freddie would have done when he walked the city’s streets almost 50 years ago. Is this the real life, is this just fantasy? You decide.